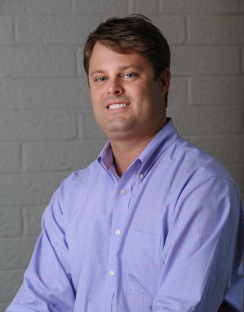 Jonathan Beall began his career in commercial real estate in 2005 after graduating from North Carolina State University with a degree in business management and a concentration in finance. Although Jonathan’s focus is on retail and investment sales, he has completed transactions in nearly every commercial real estate asset class including, office and retail leasing, special use, industrial, land, and multi-family. Jonathan’s breadth of experience across multiple asset classes gives him a unique perspective and ability to guide his clients through the complexities of every transaction. Jonathan is a recipient of the Multi-Million Dollar Deal Makers award presented by the Charlotte Region Commercial Board of Realtors (CRCBR) and was honored to be selected as a member of the 2010 CRCBR Leadership Class for his dedication to Charlotte’s civic and commercial real estate communities. Jonathan holds real estate licenses in North and South Carolina and is a member of CRCBR. Prior to joining RED Partners in 2012, Jonathan enjoyed 7 years as a broker at Coldwell Banker Commercial MECA. Jonathan enjoys his time as volunteer for Camp Blue Skies, an overnight camp for adults with special needs. His hobbies include golf, racquetball, tennis and snow skiing.